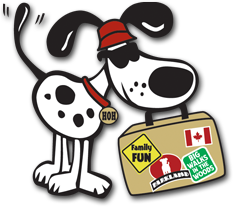 ... Because your best friend deserves a vacation too! Playtime, walks and cuddles = No Extra Charge! Q. What is home-from-home pet care? A. Home-from-home pet care is an alternative to boarding kennels or conventional pet sitting. Instead of sending your dog to a kennel or having a stranger come to your home to pet sit, we arrange ‘dog holidays’ where your dog goes to stay with a local loving host family that you get to choose. Q. Who are Hounds On Holiday hosts? A. Many of our hosts are active retired people who miss the exercise and companionship but do not wish to commit full-time to the emotional and financial responsibility of dog ownership. Others are dog owners who are looking for company for their own family pet. All of them, without exception, are genuine dog lovers who have met our strict criteria. Q. How do you select the host families? A. First we ask prospective hosts a series of questions in a phone interview to determine if they qualify. Next, we personally visit each host family at their home. We conduct a second phase interview of the candidate, inspect their home and yard, and answer their questions. All our hosts are home full time. We select only those people to whom we would entrust our own dogs - and we are very choosy! Q. Do I see which host family you have selected for my dog? A. Yes. You will see a portfolio of the local host families, including photographs, as you will be directly involved in selecting the most appropriate family for your pet. You will see who they are, where they live and what kind of pet care experience they have. You may even be able to talk to other customers who have used this host. For security reasons, we never divulge your full name, address or phone number. Equally we do not pass on host family details to our customers. Q. Can I deliver my dog? A. Our experience has taught us that dogs settle much more quickly if we collect them from you and take them directly to their host family home. Perhaps they like to assume that you are still at home while they go on their dog holidays! Q. Do I provide the food for my dog? A. When we collect your dogs, as arranged in advance, they take with them their own food, bed, toys, treats and other favourite things to help them feel at home. The host family will feed your pet according to the details set out by you in the pet schedule provided. Q. Will I have the same pet host for future pet holidays? A. You may request the same pet host for future pet holidays. If that host is available at the time you need them, we will honor that request. Q. What happens if my pet becomes ill or injured? A. In any emergency, we will always try to reach you or your emergency contact immediately. Furthermore, before you leave your pet with the host, we will record your instructions for emergencies including emergency veterinary care. We require that you keep a credit card number on file in the event of unforeseen emergencies. If necessary, your pet host or a representative from Hounds On Holiday will take your dog to your veterinarian and coordinate the care necessary - just as you would yourself. Q. Can my dog walk off-leash? A. The host family must follow strict guidelines for walking, as instructed by you on the pet schedule form. If your dog is used to walking off-leash, you may sign a waiver to allow for your pet to be walked off-leash. The host family will be advised to practice re-call in a secure area before attempting to walk off-leash in public. Q. Is it necessary for dogs to wear a collar? A. Yes, all dogs are tagged with our contact details, in case they happen to stray or become lost. Q. Is there a way for you to keep in touch with us, just to let us know everything is okay? A. Absolutely! We can keep in touch through email or voice mail, or you may call us directly while you are away. Your peace of mind is very important to us! Q. Do I need to keep my dog vaccinated and treated against fleas and worms? A. Yes, aside from the fact it is considered good practice for your pet, it is also required by Hounds On Holiday and by the host family. If the host family has pets, they too are required to maintain such standards.